You can return to our hosta plants page or browse the pictures using the next and previous links. Gorgeous - love that little purple spot on the edge of the leaf! 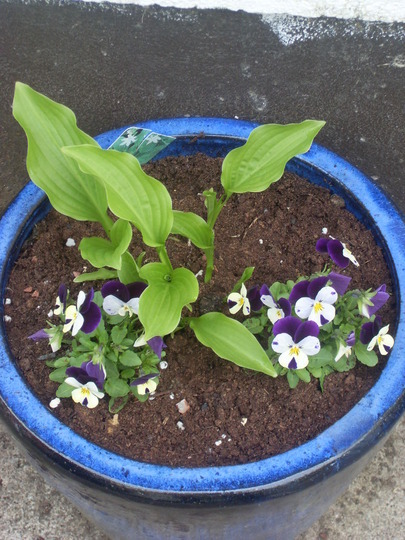 Very pretty violas is that a Hosta planted with them?